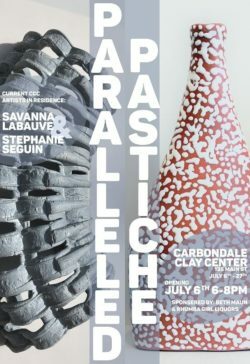 Please join us on First Friday for the opening of Paralleled Pastiche, featuring new work by Carbondale Clay Center Artists in Residence, Stephanie Seguin & Savanna LaBauve! 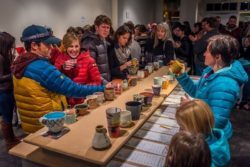 Join Carbondale Clay Center for our annual Fall fundraiser, featuring a chili cook off from some of the valley's finest chefs. Receive a locally made bowl-plate with purchase of ticket to eat your chili from, and then take home! 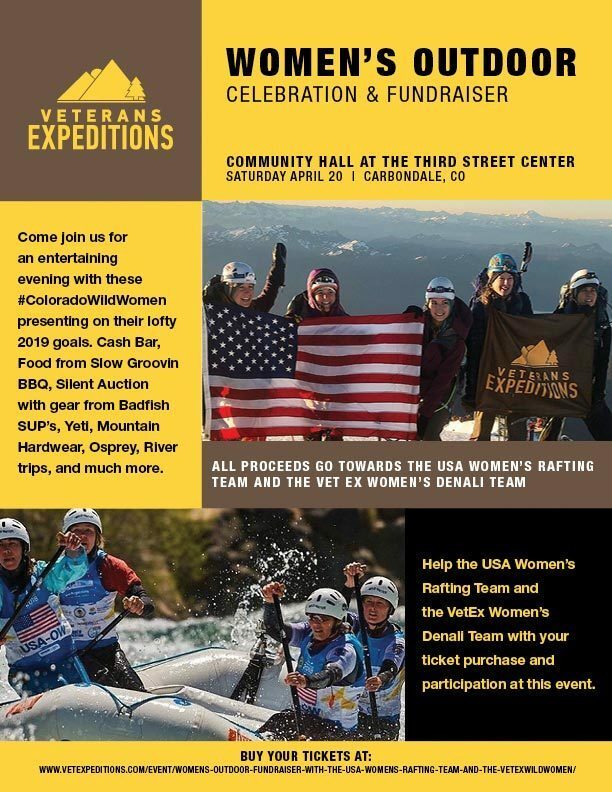 Enjoy live music, square dancing in the street, a silent auction, and more. Join us on First Friday, April 5th, 6-8 pm for the opening reception for “The FIRM”, showcasing recent works by Shane Christensen, Stephen Heywood, Michael Schmidt, & Brian Jensen. 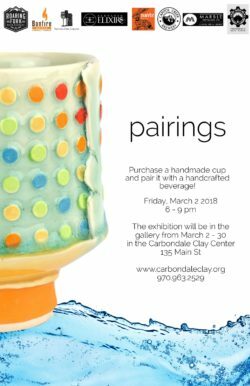 The exhibition will be on view at the Carbondale Clay Center gallery April 5th - 28th. Gallery hours are M-F 10 am – 5 pm. For more info email us info@carbondaleclay.org. 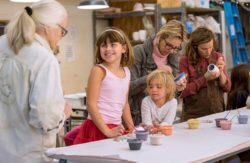 Come paint a piece of ceramics for Mom or better yet, with Mom at the Carbondale Clay Center! Open to all ages. 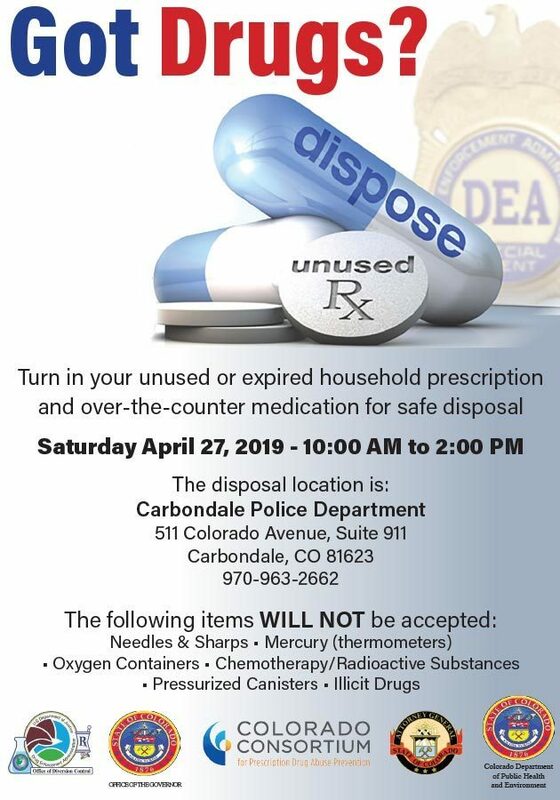 Drop by anytime between 2 pm and 4 pm on Sunday, April 28th. All items are priced $10 - $20. You paint it and we will glaze fire it in time for Mother’s Day! Handmade gifts are the best ♥ For more info email us info@carbondaleclay.org. 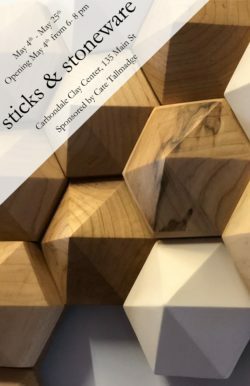 Join us at the Carbondale Clay Center for an intimate reception and artist talk for “What Do I Know: Forty Years” by Kris Cox. The exhibition will showcase a survey of works and will be on view May 3rd – 31st. Gallery hours are M-F 10 am – 5 pm. For more info email us info@carbondaleclay.org. 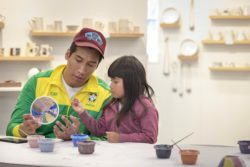 Come paint a piece of ceramics for Dad or better yet, with Dad at the Carbondale Clay Center! Open to all ages. Drop by anytime between 2 pm and 4 pm on Sunday, June 2nd. All items are priced $10 - $20. You paint it and we will glaze fire it in time for Father’s Day! Handmade gifts are the best ♥ For more info email us info@carbondaleclay.org.